Robeez as been a household name for us for what seems like the better part of the last 8 years. The birth of our daughter so long ago introduced this fashion loving mom to an entire new world to fall in love with. Since then, dressing each one of my children has been a joy. Each season brings new styles, colors and new beginnings to our wardrobes. Vroom, vroom! 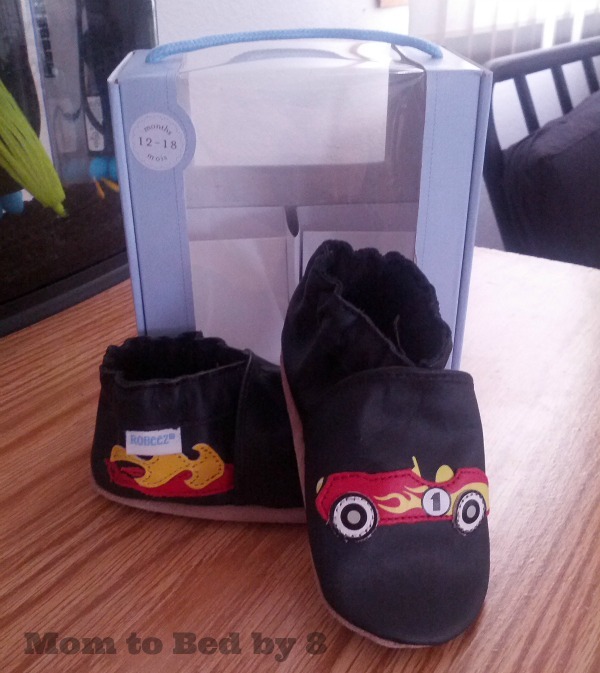 Robeez Race Car Soft Soles are the ideal design for your busy little man. Always on the go, we want to keep them protected yet comfortable. With Robeez soft soles you can do just that. The leather bound shoes give the appearance of a well etched tennis shoe, but have the flexibility unlike many infant styles. Moving is a breeze! Quality is key to nearly every products success and I will tell you that one of the reasons we feel in love with Robeez so long ago was the ability to pass them from one daughter to the next. Even after the second round of us, I found that the girls’ shoes were still in fantastic condition allowing us the ability to pass along again to a friend, family member or even a mom in need. Robeez are also amazingly light weight leaving baby to toddler the ability to play, crawl and then run their way around without being weighed down at the feet. A mixture of thoughtful features from Robeez allow baby’s feet to grow at a natural, unrestrained pace. 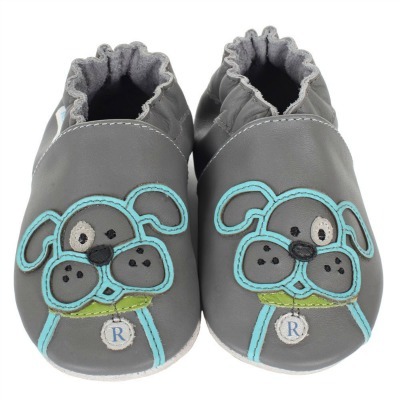 As a firm believer in no shoe is the best shoe for baby, Robeez brand is one we will continue to reach for each time an outing occurs when our little needs the cover their tiny toes. Booties to Beg For. Parent’s Magazine (May 2013) Thinks so. Here are two more of my Robeez favorites that in style will carry from from summer right into fall! 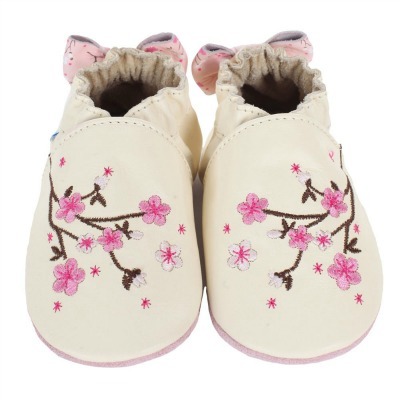 Robeez Cherry Blossoms Soft Soles ~ The embroidered motif of pink flowers creates a delicate and sweet feel, perfect for little girls. The upper is of cream leather while a printed leather bow adorns the heel. Robeez Bulldog Soft Soles ~ Woof, woof says the bulldog. 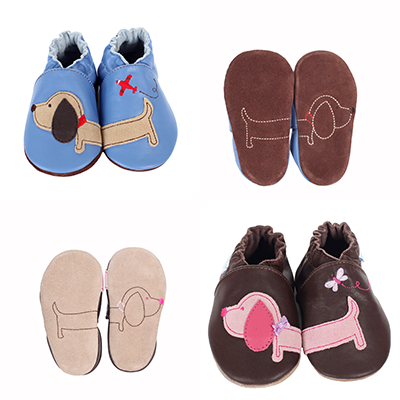 Our adorable dog is outlined in blue leather on a grey leather upper. And, don’t miss the Robeez “R” on the dog’s collar. Which one will you choice? One lucky reader will receive a pair of Robeez Soft Soles! Giveaway ends July 18st at 11:59pm, open to US residents, ages 18+. To enter please use the Rafflecopter form below. Good luck.